Missoula Last day in Montana was full of goodbyes. Meeting friends made over recent years at the Railroad Farmers’ Market and old friends and comrades for a quick dinner was fun and nostalgic. I slept on a cot in the backyard of another old friend and veteran organizer last night in a place where we had regularly stopped to visit, do our laundry, shower, and depot gear, batteries, and even a ‘78 Toyota pickup we had acquired for several years to beat the rental car scams from airport to fishing camp. It was finally hitting people who had gotten used to our annual summer visits over seven seasons, that our Montana ticket was being punched, we were going to be Wyoming people for the foreseeable future. The day had been filled with errands, replacing missing tools and water containers, topping off the propane tanks, and arranging for a spare tire for the trailer in order to be prepared. 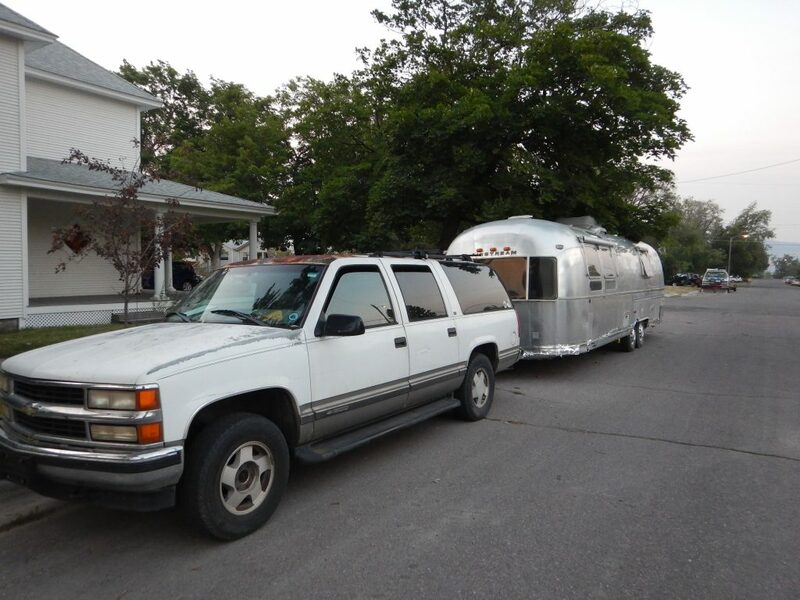 The key task of the day had been rendezvousing with a friend who had offered to help oversee all the details and formalities of guaranteeing our safety in hitching the Airstream to the Suburban. 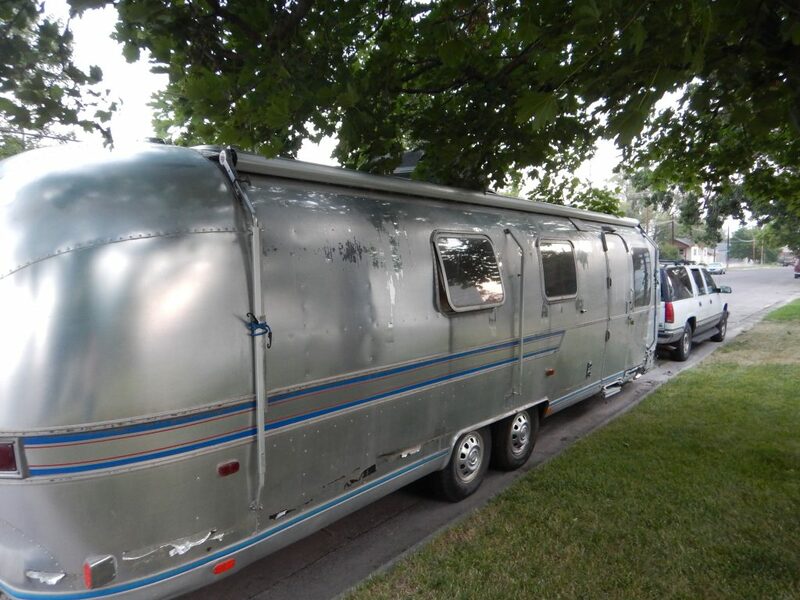 Yes, we had pulled trailers of different shapes and sizes before and seen to the hitches, but we still counted ourselves as raw rookies called to pinch hit from time to time over the span of years. We wanted the extra security of experienced supervision. The dynamics of weight transfer and distribution between the trailer, the hitch, and the truck were a short course in the fundamental physics of daily life. I kept thinking how easily a teacher with hands-on experience could convince young men from rural America the value of science through such applied instructions. First, we dealt with weight distribution in the 35 foot plus trailer. We hoisted the portable generator into the trailer and then lifted it back to the bathroom hall at the tail end of the trailer. We had already placed each propane tank in opposite closets behind the bunks there. We then moved the three heavy marine batteries to the back as well, adding probably another 100 pounds over the back tires. Then to the hookup. The hitch is not just a simple matter of lining up the trailer with the various sized balls on the truck hitch, though that was not easy either since the ground’s surface varies between rock and soft holes, and the trailer weight falls off the wooden blocks rested under its frame at different angles. Meanwhile you are hardly breathing as you make sure the hydraulic jack doesn’t let trailer frame too fast or miss the ball. On a heavy rig like this the “sway” bars and stabilizers are also key. The heavy iron bars have chain links on the end. They have to be set in the hitch itself, and my brother law had ground them down so they would do so perfectly, but it catches at a right angle with a pull, so if you’re not paying attention in class, this can be aggravating as you watch them fall to the ground. Then you apply the tension as you lever up the chain to the bracket on the hitch frame that is welded into the trailer. 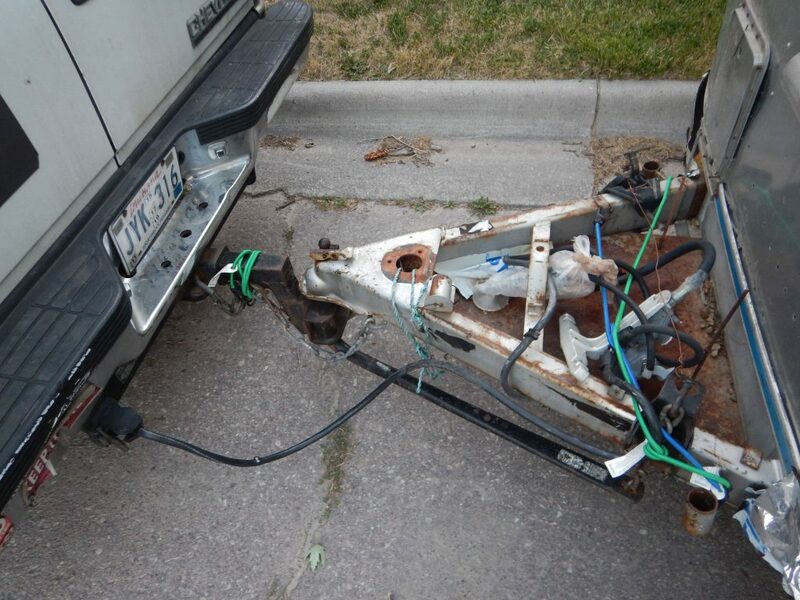 Whoops, we weren’t looking at where the chains were that go from the trailer frame to truck hitch, so those have placed underneath and then crisscrossed to the hitch near the truck frame. Is all this important? Mercy, yes! When it all miraculously works, it prevents the trailer from fishtailing and swerving behind you as you drive and steadies it to the direction of the truck. It also means that the trailer won’t end up slipping off like behind you endangering everyone on the highway. The wind came up during the night and Wyoming has sent us a message that there are wind warnings on the road. If you want to learn about physics in a way you’ll never forget, then hook up and put it on the highway to Wyoming some day. If we get over the Continental Divide, we’ll feel like we’re home free the rest of the way. Please enjoy The Mallett Brothers’ Long Black Braid. 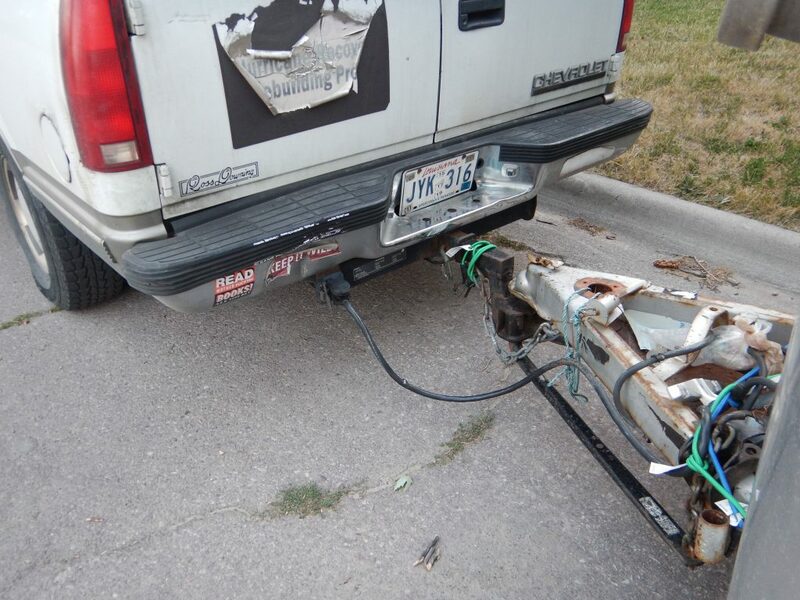 This entry was posted in Ideas and Issues and tagged montana, physics, trailer hitch, Travel by Wade. Bookmark the permalink.